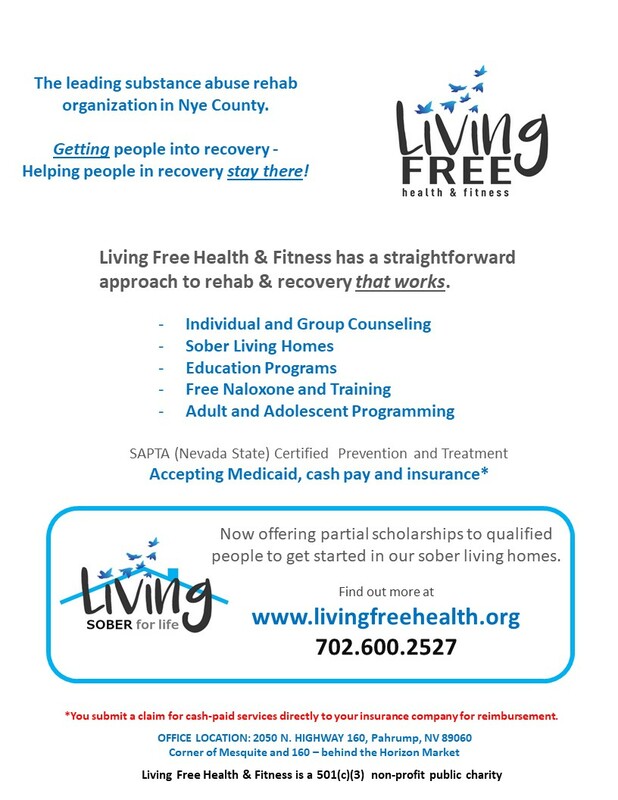 Living Free Health & Fitness is also SAPTA-certified as Co-Occurring Disorders Services capable and certified in Prevention. 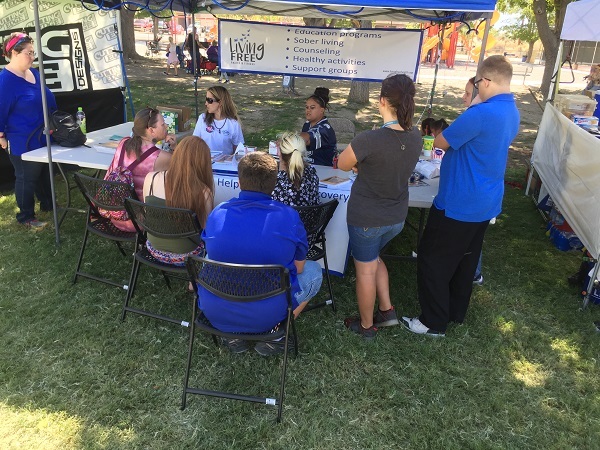 Our organization also serves as the local “Naloxone Distribution Point” – We will train and deliver Naloxone (opioid overdose reversal drug) community members, organizations and employees/employers FOR FREE per our certification through the Nevada Southern Health District. We have opened offices at 2050 N. Highway 160, Pahrump, NV 89060. That’s behind the Horizon Market on the corner of Mesquite and 160. Suites 600 and 700.